Amy is a Commonwealth registered Civil Marriage Celebrant, however NOT the cookie cutter, Golden Girls variety. 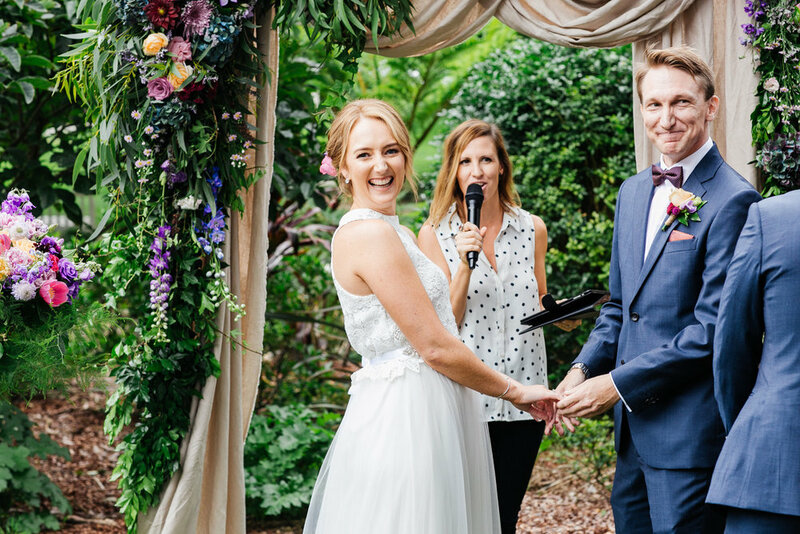 She has a young, fun and fresh approach to ceremonies and prides herself on creating celebrations that are completely reflective of YOU as a couple. She believes that life and all forms of love should be celebrated and your ceremony is the perfect opportunity to do so. It needs the right amount of laughter and the right amount of tears, plus all the legal trimmings presented with professionalism and maximum joojsh! This is what you'll get with Amy. Amy offers bespoke ceremonies for weddings, naming days, commitment ceremonies and vow renewals. If she sounds like your gal, get in touch today!